Wellborn Cabinet Reviews 2019 - "Southern Made Furniture"
Last Updated March 27th 2019: The furniture industry is full of old names and new names but when purchasing something to be a part of your home in the long term it’s important to know who you’re buying from. From this you can get a much better idea of what kind of product you’ll get, and also what you can expect if something goes wrong. Thankfully after reading our Wellborn cabinet reviews guide you will know exactly what type of quality you are getting from your cabinets. 11 Final Thoughts on Wellborn Cabinets Inc.
Wellborn is a family owned company who have been making home furniture and cabinets since 1961. They began on a very small scale in Ashland, Alabama and have grown rapidly to become a dominant force in the industry. They’re an all American success story and still keep all of the production within the U.S, rather than a lot of companies who have outsourced to Asia to keep costs low. They chose to keep a close eye on their production and keep it in the same place it’s always been, Ashland Alabama. The production plant has grown from humble beginnings to over 20,000 square feet. If you are interested in other American made cabinets you should checkout Aristokraft cabinets and Shenandoah cabinets, as they are great choices as well! For over 55 years Wellborn Cabinets Inc have had a vision of providing better value for their customers through superior products. They’re also dedicated to innovation and are constantly looking to improve their products and solve problems around the home. This had led them to broaden their range from just cabinets to accessories and storage solutions for around the home. Wellborn also keep the idea of responsibility and accountability close to heart. They oversee each individual product and aim to keep it at the highest of standards, with an impressive warranty if anything goes wrong. 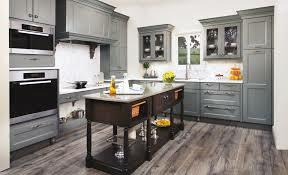 Wellborn Cabinets Inc are an all American company who are dedicated to bringing value to homeowners. These lines each have unique designs and styles and customisable options to make them unique to your home. They vary in price and quality but one of the most popular is the Home Concepts line. This is the affordable but quality line with is primarily for the kitchen. It features a whole host of design choices. 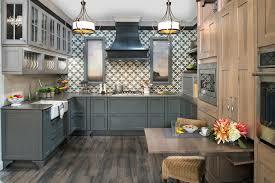 Wellborn Cabinets Inc are all about value and their home concepts line really shows it. The different product lines allow for a variety of budgets, whether you’re looking to spend a little of a lot they have a range to fit you. All of the cabinets are available in plywood or hardwood. These offer a different look, feel and quality to your cabinets, with hardwood being more durable but more expensive. For a truly custom made cabinet Wellborn Cabinets Inc are offering you the option to draw your own design. Then they’ll work with you on the specifications and make your unique kitchen cabinet! It’s a great way to work out exactly what you want to fit in your home and something other manufacturers aren’t offering except at a huge premium. Once you’ve decided upon the material and which collection suits you then you can look at the door varieties. Wellborn Cabinets Inc offer over 75 different types of door with customisable options. There are several different styles, these include raised, cathedral, slab or square. Be sure to check with your retailer and see samples of each before deciding. It’s an impressive amount of choice and each of these will give a different look and feel to your cabinet. Again we suggest you take a look around all of the options before deciding. There is also the choice of a full overlay, traditional overlay or inset on the doors. The design really is in your hands so take the opportunity to make it your own. Wellborn offer different methods for finishing your doors. Each is designed to give a unique one of a kind look and includes vintage, and brush methods. Each method is specialised for a particular type of kitchen so whether you have a modern home or a more traditional home you’ll be able to tailor it to fit in. The types of finish themselves are varied, with colours ranging from Autumn Spice to Shadow. It’s really important to be able to merge the design into your pre existing kitchen and the finish colour should be chosen carefully. Look for samples of each and take time to really analyse your choices. 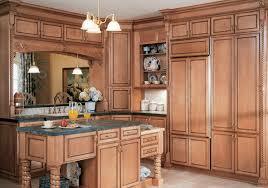 Wellborn Cabinets Inc offer mouldings and embellishments to add to the cabinets further. These are great to add a more custom made feel to your cabinet. They have a host of unique features designed for active lifestyles. These innovative features make the kitchen more efficient, especially suited to modern homes. They also have the option to include your personalised artwork in your kitchen cabinet. The sizes do vary between product lines and the wall hanging units vary slightly. Retailers will be able to give you all the specifications and help you get the correct fit for your home. The Wellborn family take every care to ensure quality in each of their products. This begins in the timber, which is carefully selected from the local region. Then the production line is monitored directly in the Alabama plant, with quality controls at the end of manufacture. Wellborn believe in accountability and do their best to ensure their products are of good quality. The result is that they have reliable, durable, stylish and innovative products being released across the United States. Wellborn offer an impressive lifetime warranty on the majority of their products and lines. This covers the workmanship, materials and also includes the hinges and drawer systems. This shows Wellborn Cabinet Inc’s confidence in their products and can give you as a user confidence in what you’re purchasing. Always be sure to check with individual suppliers about warranty so you know what is and isn’t covered. Buyer reviews are the best way to get some accurate information about a company and Wellborn Cabinets Inc have some very positive feedback. “My house was built in 1988 and had Wellborn cabinets installed. They are still used every day and have never had an issue. If anything, they're too good.” John T.
People seem impressed not only with the quality and price, but the durable nature of the products. Common criticisms include some peeling of the paint and fitting issues. “I have Wellborn cabinets, just a year old that are cracking and peeling and the company refuses to do anything about it! What about the Lifetime warranty, I wonder?” - Alexa P.
There have been a number of reviews who are less than happy with the lifetime warranty cover, the best thing to do is to check thoroughly what is included and what isn’t at time of purchase. Overall the buyers seem pleased with their purchase and are more than happy to recommend it to others. Compared to other similar cabinet makers they’re providing some of the best value and sturdier construction. “We have Wellborn Forest cabinets, and are happy with the quality. Compared to the Kitchenmaid (or any models on display in the big boxes), they seem to be sturdy and well made. I also love the finish.” - Mike V.
Final Thoughts on Wellborn Cabinets Inc.
Wellborn Cabinets have positioned themselves as one of the most reliable units on the market. They’re built solidly, with great add ons available and some neat features. The design choices are pretty impressive and allow for a lot of choice for your kitchen cabinet. One of the best features is the different product lines, allowing for a range of budgets. Wellborn cabinets are pulling out ahead of the other mid range competition and user reviews show the satisfaction with the products. As ever with cabinetry you get what you pay for, so for the least issues and longest life it’s worth investing in some solid hardwood cabinets. 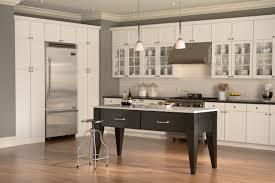 Wellborn Cabinets Inc have maintained a high level of standards since they began over 50 years ago. They’re a great choice and definitely worth looking into for your kitchen cabinets. Overall these are some great kitchen cabinets, and I hope you enjoyed our Wellborn cabinet reviews guide, and you learned a lot!